When you think about a vehicle with high performance and a powerful, turbocharged engine, a compact hatchback probably isn’t the first thing that pops into your head. But the Volkswagen Golf GTI is changing the game. Car shoppers have been choosing this compact hatchback above tough competitors since its introduction in 2015 for its versatile and roomy interior, large cargo capacity and impressive fuel economy rating. Now, the Volkswagen Golf GTI is back, and it’s better than ever after adding a new trim level and adding on to its already lengthy list of standard features. And when it comes to advanced technology and safety features that come standard, the VW Golf GTI has you covered. Who says you can’t have it all? Add in the Golf GTI’s standard turbocharged engine, and you’ve found yourself a vehicle that really hits a hole-in-one every time. 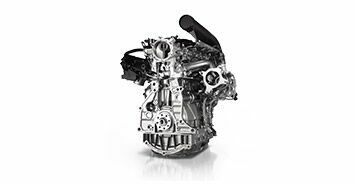 All four trim levels of the Volkswagen Golf GTI come standard with a turbocharged 2.0-liter TSI® engine that makes an impressive 258 pound-feet of torque. The S trim’s engine generates 210 horsepower, while all other trims generate 220 horsepower. Drivers can also choose between a manual and automatic transmission to fit their driving preferences. If you love to stay entertained throughout the duration of your trip, the Volkswagen Golf GTI is a perfect fit for you. All four trims come standard with VW Car-Net® App-Connect, which connects to compatible smartphones so drivers can access select apps right from the center display. Android Auto and Apple CarPlay capability also comes standard on all trims. The Volkswagen Golf GTI has a variety of available safety features designed to keep you and your passengers as safe as possible. Advanced safety features available include Front Assist, Lane Assist, Park Assist, Park Pilot, Adaptive Cruise Control, Blind Spot Monitor, Rear Traffic Alert and Autonomous Emergency Braking. 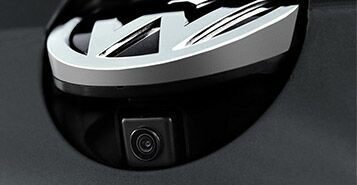 A rearview camera and the Automatic Post-Collision Braking System also come standard on all trim levels.